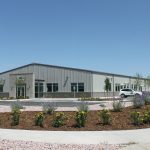 The Black Hills Energy project consists of two (2) new buildings constructed on a 2.5-acre site. 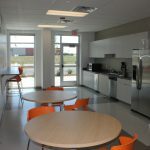 The site required extensive improvements and included controlled access gates for security, as well as covered and uncovered storage areas for materials. 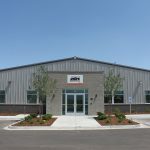 The 14,190 square-foot new office/warehouse building included 7,800 square feet of finished office and conference room space, including a showroom for display of gas appliances. 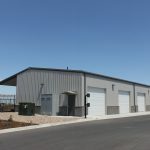 The other half of the building is dedicated to a warehouse space with three (3) loading docks for shipping and receiving. 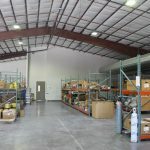 The 3,276 square-foot welding shop includes four (4) separate bays with overhead door access and 1,600 square feet of attached covered storage.